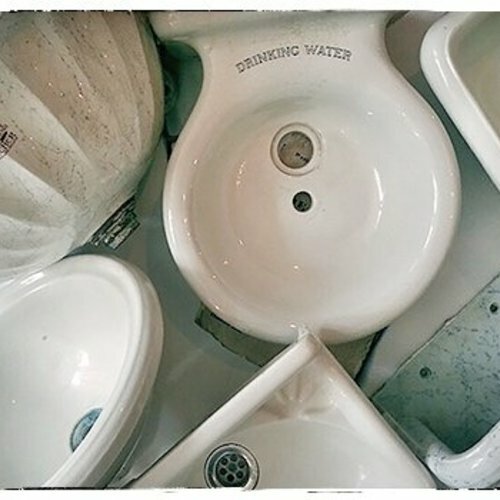 Our collection of antique washbasins and little basins for the cloack room. 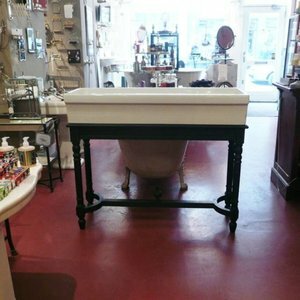 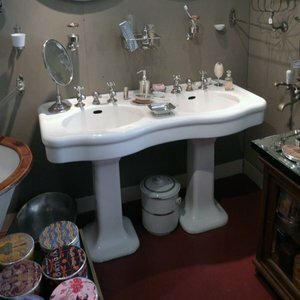 Here you will find everything from our collection of antique bathroom sinks and antique cloack room basins. 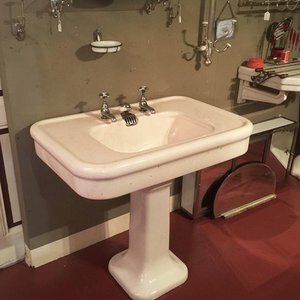 Antique models from the years 1880-1940. 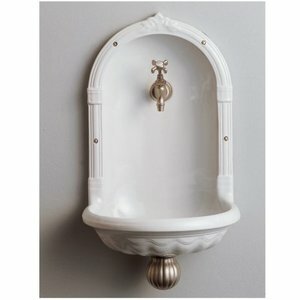 Antique basins on a pedestal, double basins of wall mounted models. 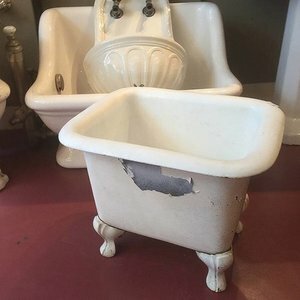 Antique cloack room basins in various shapes and sizes, from the smalles models from the beginning of the 20th century up to more modern models from the thirties. 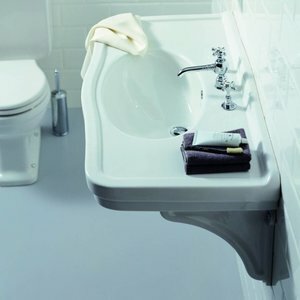 Most of the little basins have to be combined with a wall mounted faucet. 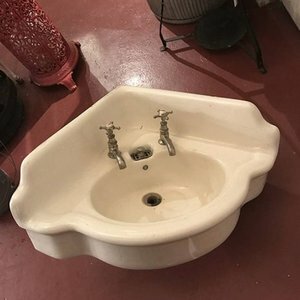 This is usually the case with the rectangular wall mounted models with higher backsplashes but it's also the case with the antique corner basins. 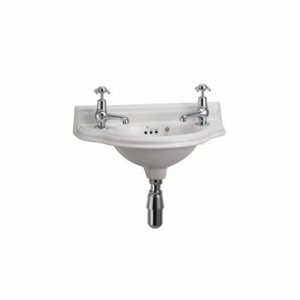 You can combine them with little faucets from our collection. 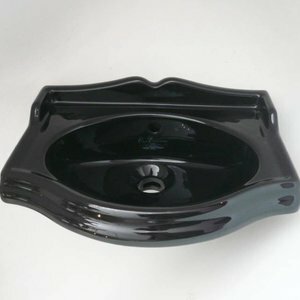 We also offer a wide collection of reproductions of antique models washbasins and cloack room basins, in various styles from Victorian and Art Nouveau to more Art Deco ones. 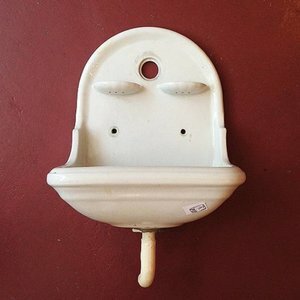 One might think that antique washbasins or other antique sanitary ware is always very abundantly decorated but the opposite is true. 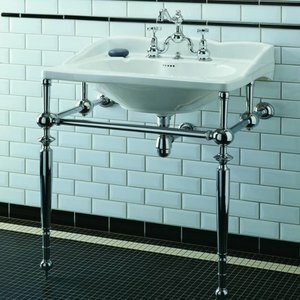 Antique washbasins tend to be quite sturdy, robust and above all very functional with an industrial feel to them. 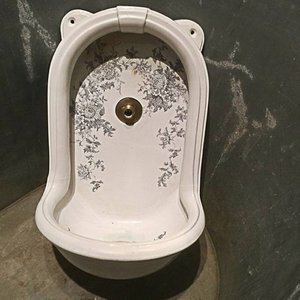 When decorated it is always with great style. 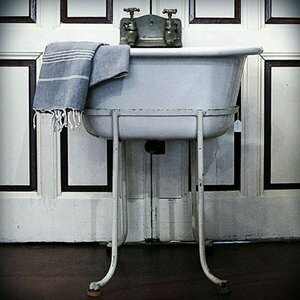 They combine very well with more modern elements in a bathroom, it's the contrast between old & new, between vintage & modern that makes it exciting. 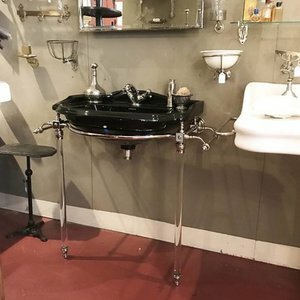 But if you would wish for a bathroom with a truly 'industrial look', our collection of laboratory basins or butler sinks could be of interest. 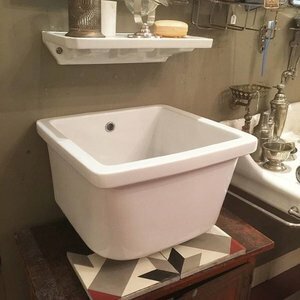 They come in different sizes, fit perfectly as a small double sink in any smaller bathroom and they combine very well with old & new bathroom elements.